Hi guys! Since Wil is in the restaurant industry and has to work tomorrow night, we’re celebrating Valentine’s Day today. I was in charge of making brunch today after church, and then he’s taking me out to a nice dinner tonight – should be fun! 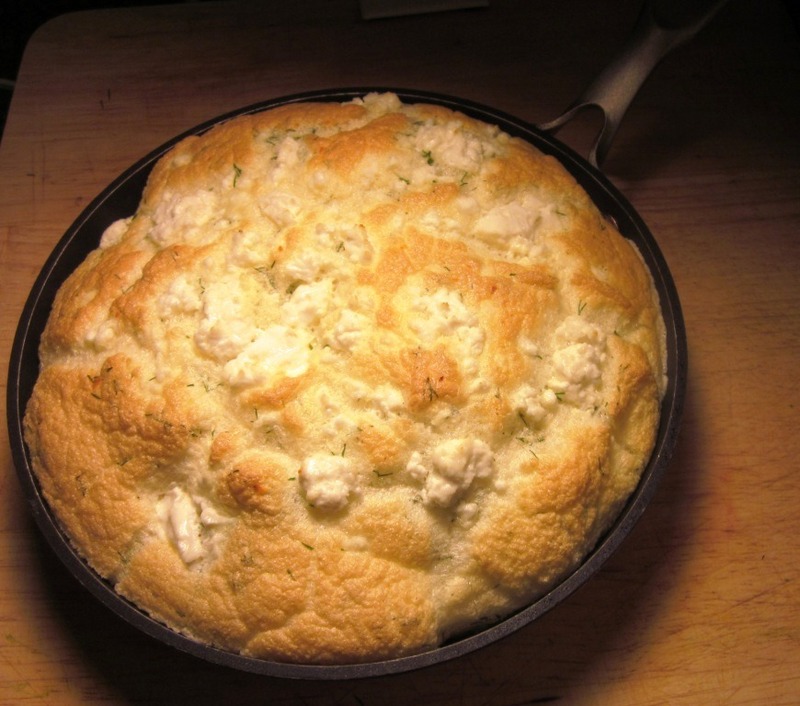 I ended up making this incredible Skillet Soufflé for brunch that was so easy, but seemed so fancy. It was delicious, healthy, and really took the eggs to a whole different level. I know “Soufflé” can seem like a scary/intimidating term, but this one is pretty fool proof and has just 4 ingredients! Get up a few minutes early tomorrow and make this for your valentine! 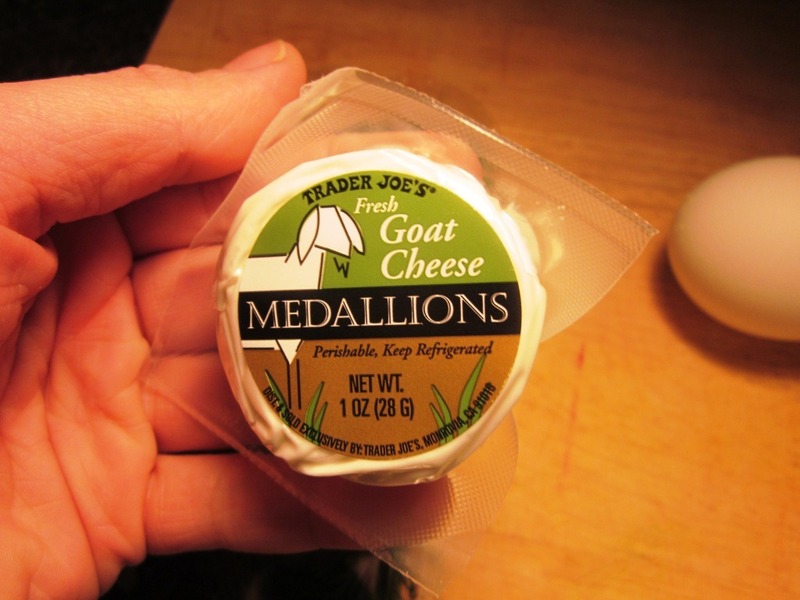 BTW – I found these goat cheese medallions at Trader Joe’s and they are awesome. I love goat cheese, but those little tubes of it can get so messy and are hard to use up before they go bad/get everywhere. These are single servings (1 oz) with just 2 pts+ per container and are super portable. I think it was 3.99 for a pack of 8 of them – totally worth it! Next, separate the eggs, putting the whites and yolks in separate bowls. 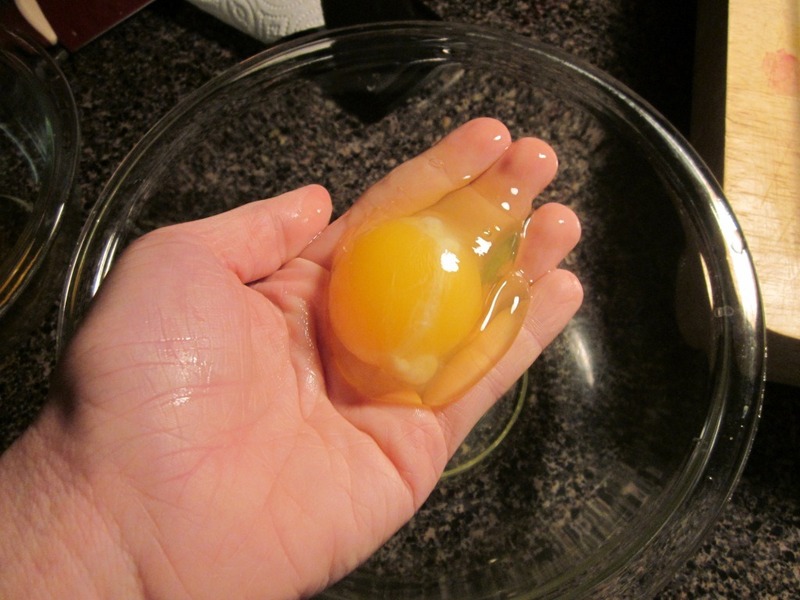 If separating eggs in the shell scares you, just do it with your hands – which is what I do. Crack the egg directly into your hand over the bowl for the whites to go in. 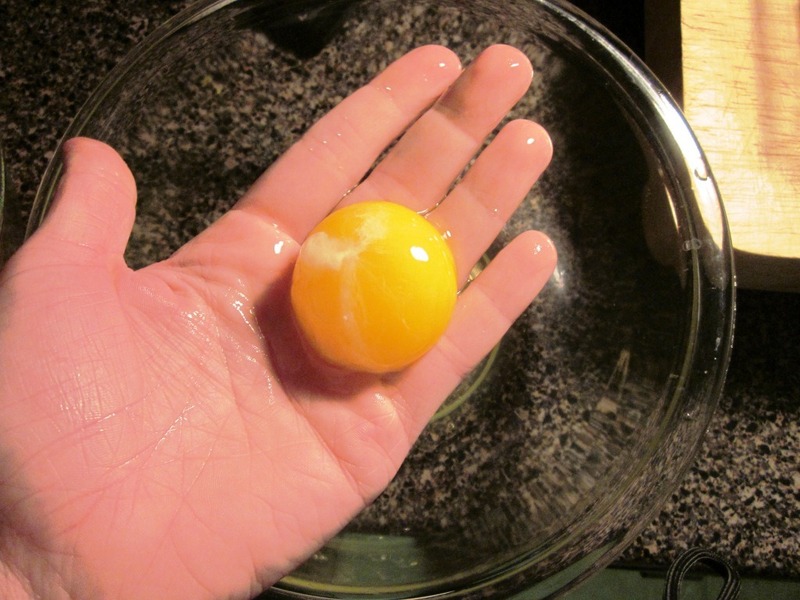 Move your fingers around a bit to let the whites fall through into the bowl, careful not to drop the yolk. Once all the whites have gone through your hands into the bowl, the yolk should stand alone and is ready for the other bowl. 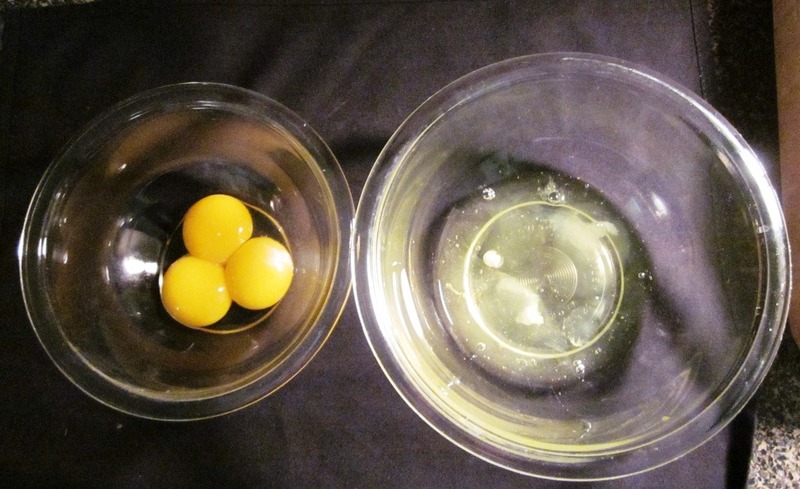 After all three, you’ll have two separate bowls – one with three yolks, and one with three whites. 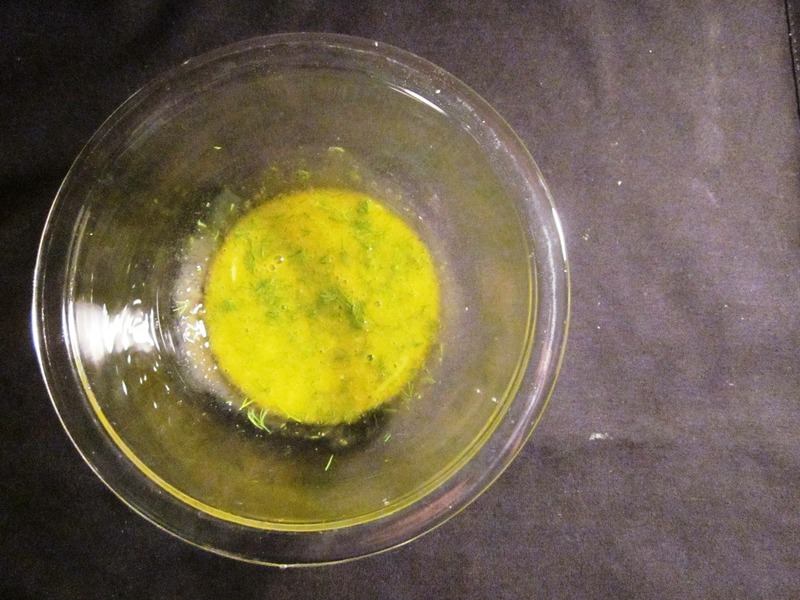 Add the dill plus salt and pepper to taste to the yolks, and beat with a fork until well combined. 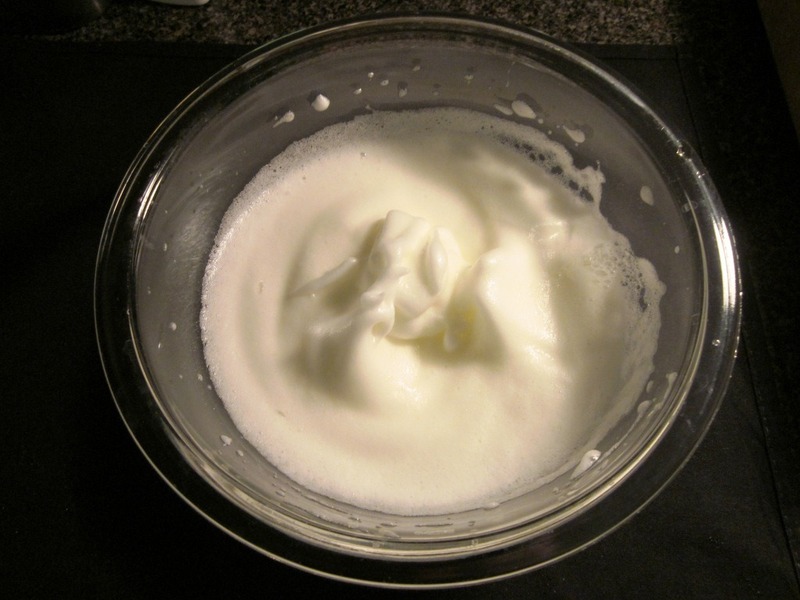 Now, using an electric mixer, beat the egg whites. 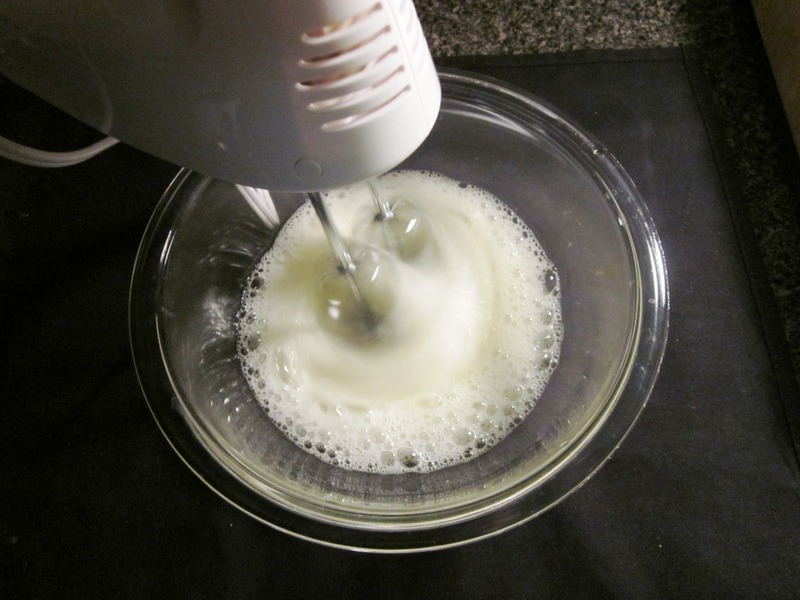 If you don’t have an electric mixer – go get one. I got this one at Target for 6.99 (full price). You want to beat the whites for 2-3 minutes. 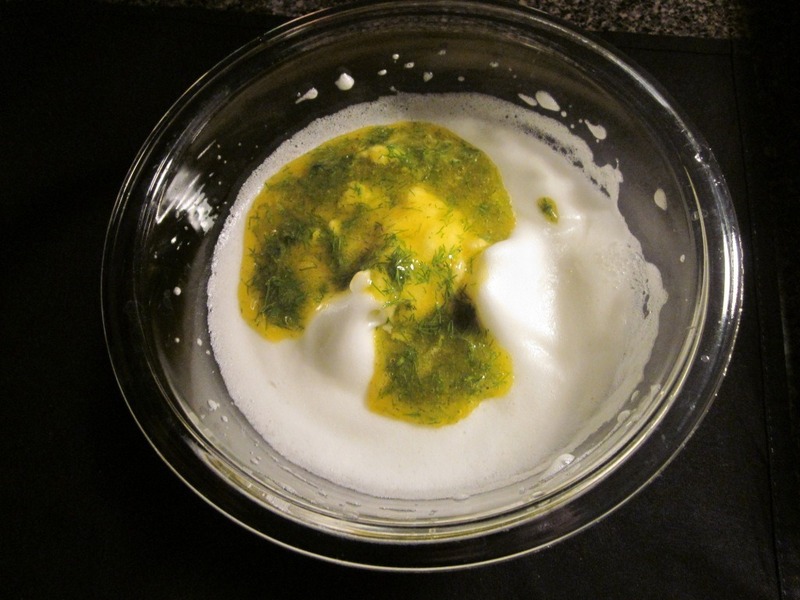 Now, add your yolk mixture to your whites. 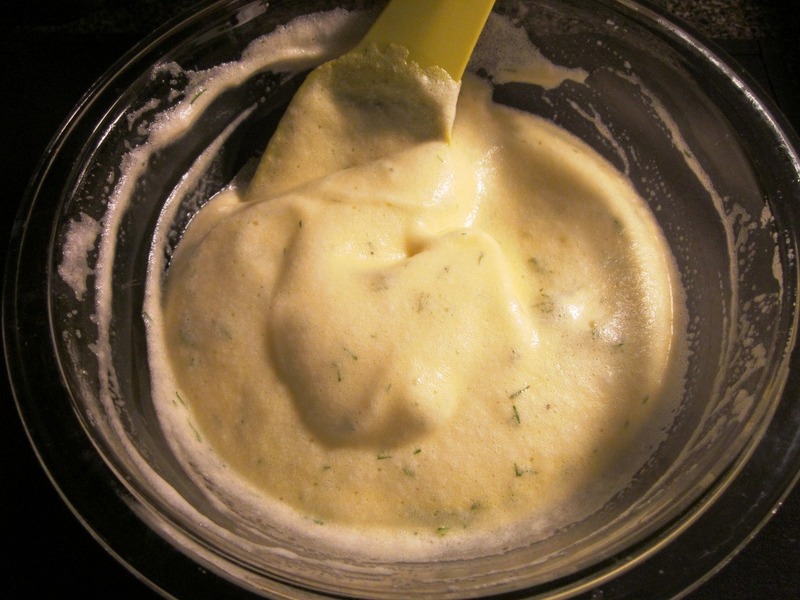 And gently fold the mixture together with a spatula until well combined. 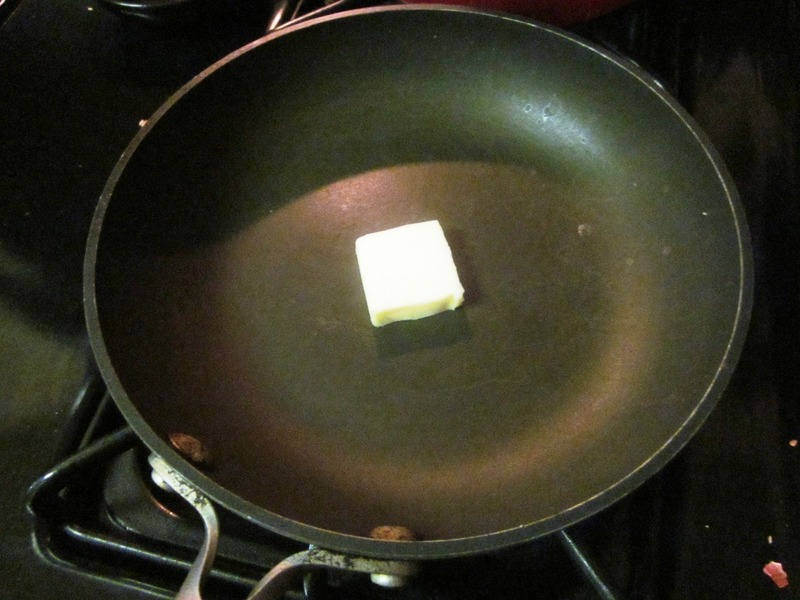 In a cast iron skillet (or a pie plate if you don’t have one), place the 1/2 tablespoon of butter. 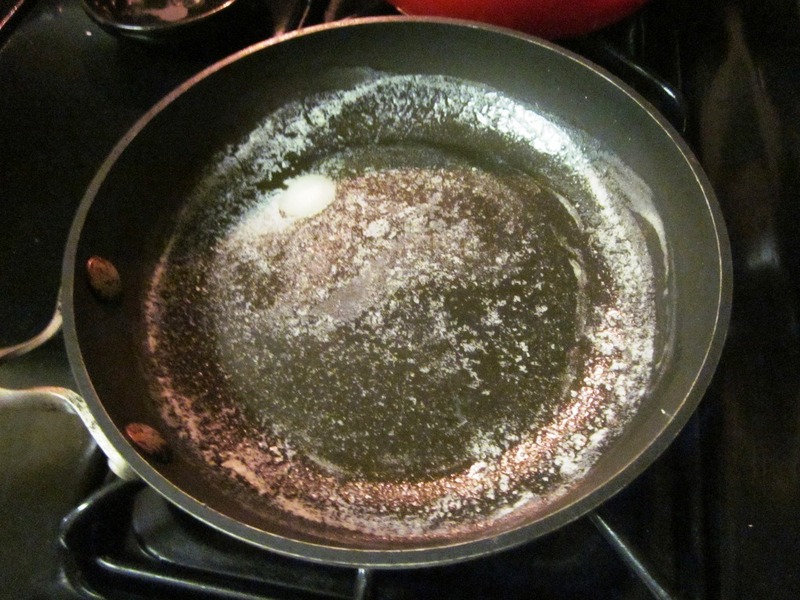 Melt over medium-low heat, swirling it around so the butter coats the entire bottom of the pan/pie plate. Now, add the egg mixture to the skillet. 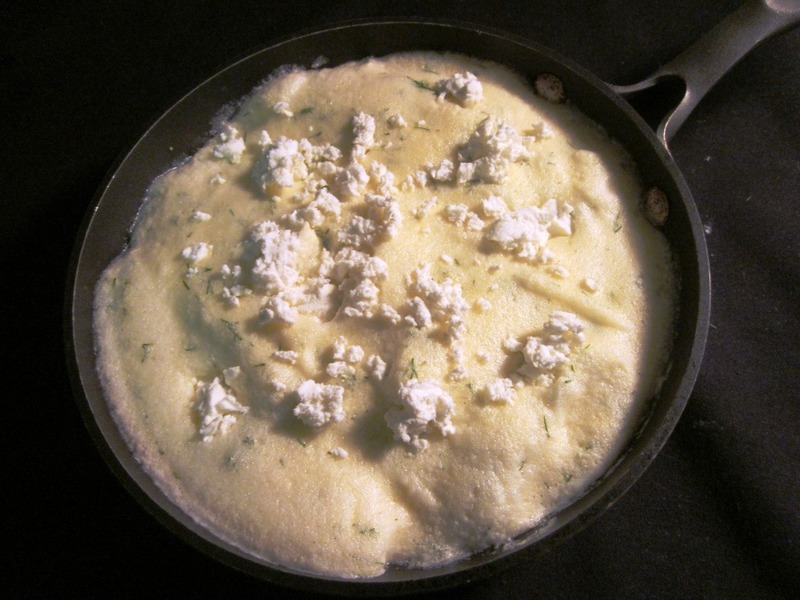 And place the skillet in the preheated oven for 10 minutes, until the souffle has risen and is browning on top. 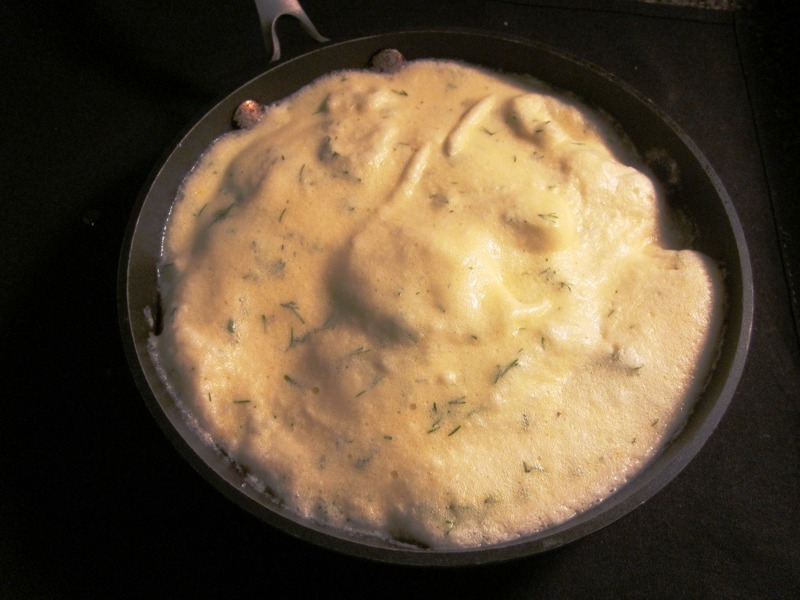 Loosen the souffle from the sides of the skillet with a spatula or butter knife, and the entire souffle should slide out of the pan and stand on its own. Serve immediately with your side of choice. 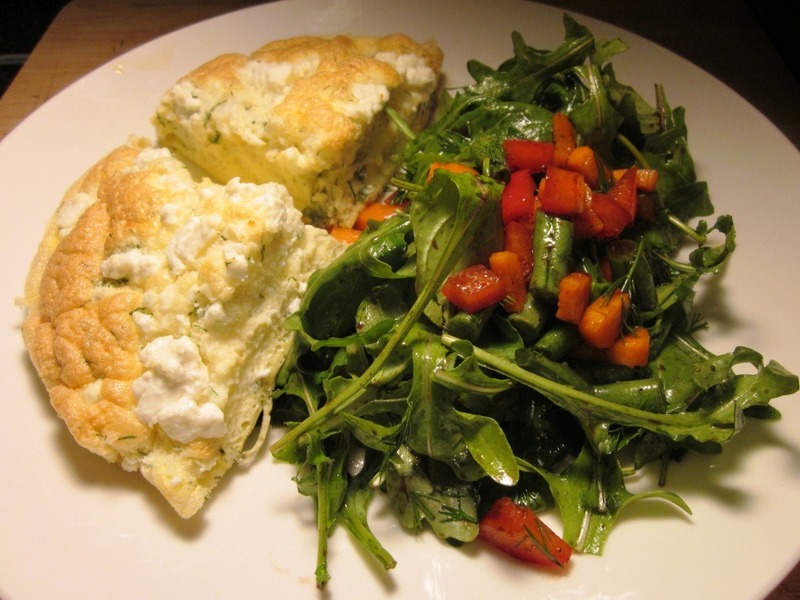 I mixed up a simple arugula salad with some carrots, red pepper, and green beans and it went perfect with the souffle. 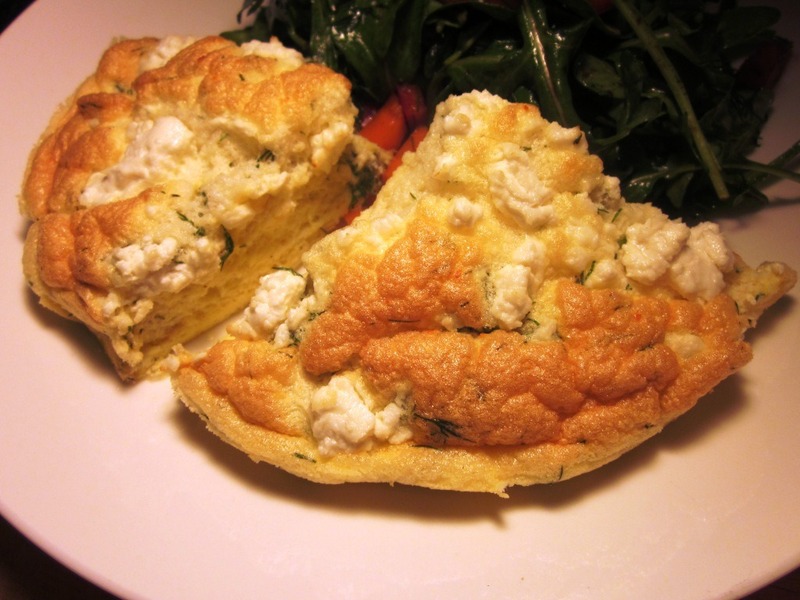 The souffle is so fluffy from whipping the egg whites and has this incredible, airy texture. Each bite was so delicious and Wil couldn’t get over how yummy and simple this dish was to make! 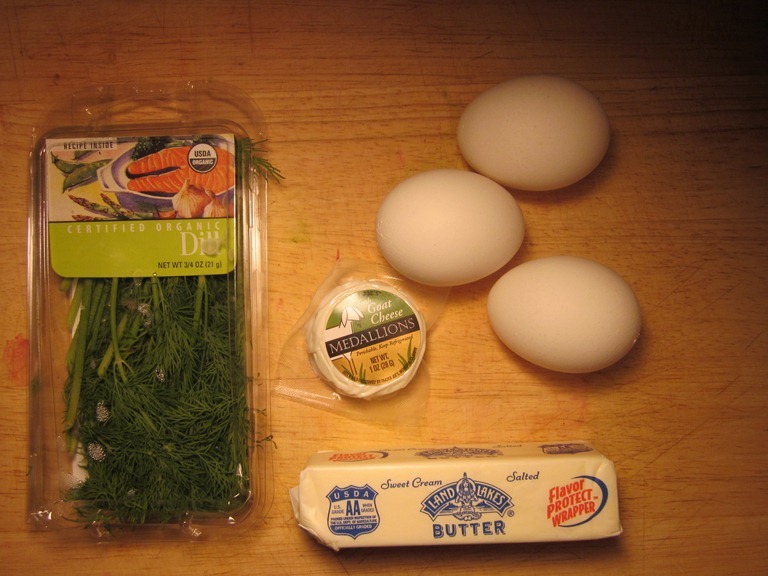 The melty goat cheese and fresh dill add such a subtle and fresh flavor to the eggs and make for a perfect brunch dish if you’re looking for something a little special, but still do-able. The entire skillet has 10 pts+, so if you divide it in half, each piece has just 5 pts+ and it’s a good amount even though its just 1 and a half eggs. Make this soon! Are you a fan of eggs? What’s your favorite way to have them? I love eggs, but only ever eat them on the weekends. This dish is definitely up there with my favorite preparations, but I also love eggs straight up poached. That souffle is GORGEOUS and looks delish! I’m a big fan of eggs. They’re so yummy 🙂 Over-easy is my fav, but I like them just about any way. If you ever go somewhere that they have a TJ’s – stop by! There’s tons of non perishable stuff there that you can’t find anywhere else! The medallions are awesome – I just found those very recently! do you think you could add spinach and tomato?! I think so! You’d want to cook the veggies first, before mixing them in. The only thing is the texture of it is really delicate, so you want to be careful that you cut everything up really small so it doesn’t weigh down the souffle. If you do try it, let me know how it turns out! This looks amazing and so easy! I also love the technique you shared for separating eggs… I’m such a fumble when it comes to that! I’m going to try to make this dish this week! 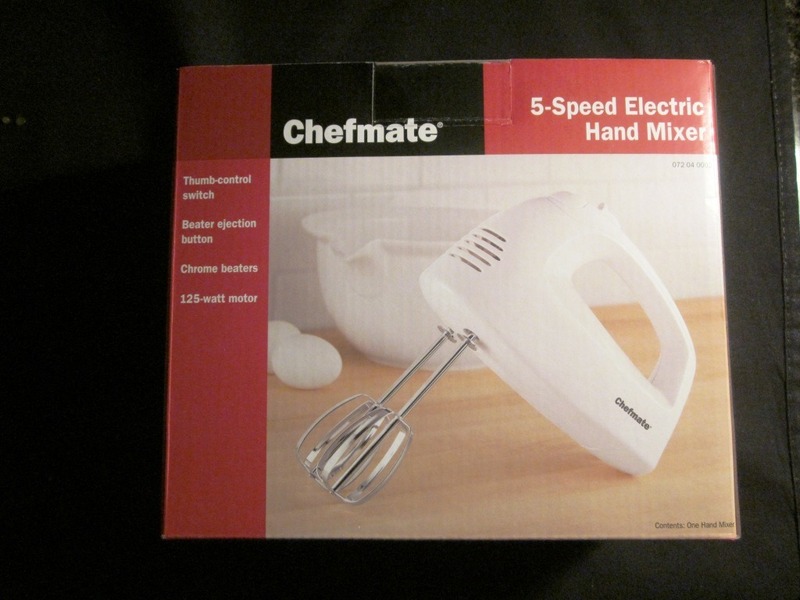 Anything I can do to use my hands when I cook… its easier too! If you do make it, make sure you let me know what you think! Wow I love this! Definitely planning to make this soon. And I’ll be on the lookout for those goat cheese medallions!! Ohh yay! Let me know how it turns out! I want to make this every weekend… so good! BETH!!! 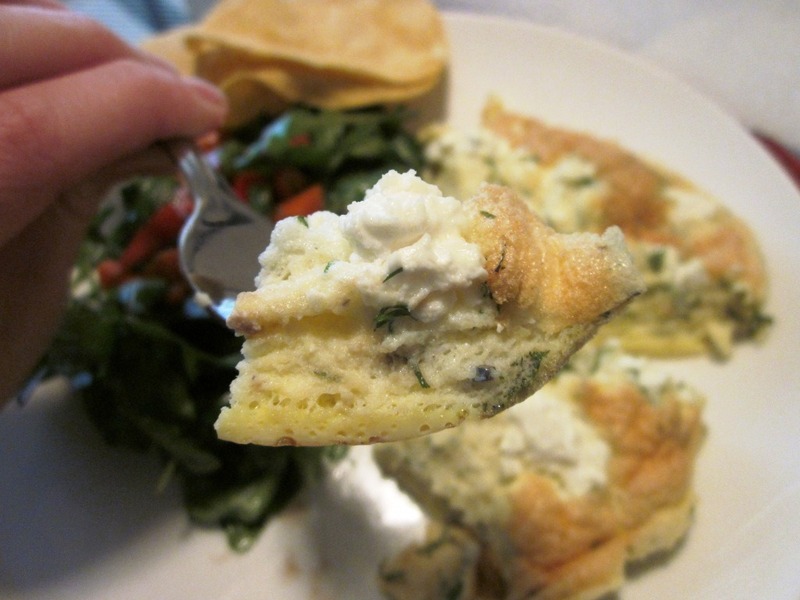 This is a recipe I need to try — I love goat cheese and I love eggs – I bet this tastes fantastic! Eggs are easily one of my favorite foods — I love them sunny side up with toast or scrambled with a few veggies. no way.. you can do it!! its really easy, i promise. 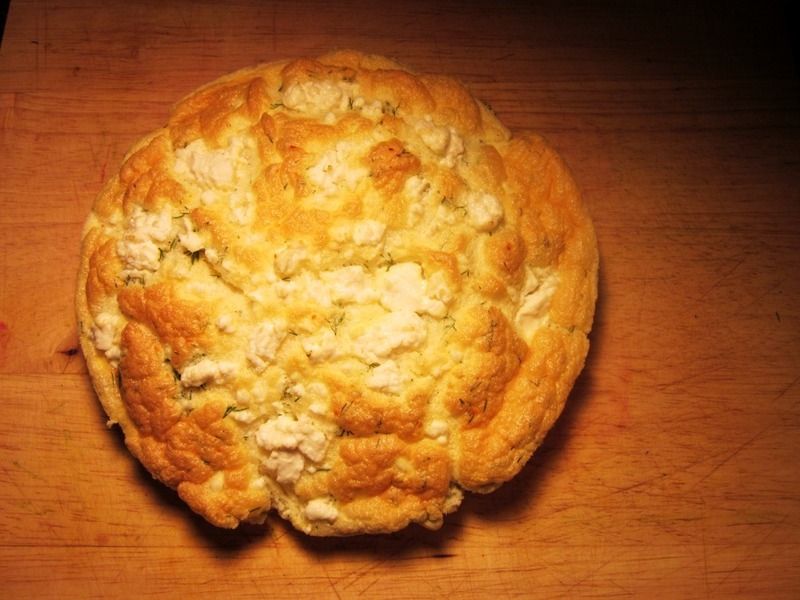 i know.. goat cheese makes everything better! Wow, I’ll definitely be trying this one, it looks so good! Oh my gosh, Beth! That looks delicious!!!! I’m definitely going to try that out. omg that looks amazing i have never made a souffle before but im definitely trying one after this! I’m so impressed! I need to try this technique out. Thanks for the awesome step-by-step pictures. That was really helpful! Wow, thanks for making a souffle seem so much easier to conquer! This goes on my list of dinner for the week! I just made the souffle…it was delicious! Thanks for the recipe! Aww yay! So glad you enjoyed it! This is an awesome recipe! I never knew anything about souffles, but will be making this very soon. We love eating egg dishes in my house holds, but typically just make massive scramble mixed with lots of vegetables. That looks soooooo good!!! Bookmarked! Trying it now with Herbs de Provence and Laughing Cow Light Garlic and Herb. Your recipes, food combos and successes have totally inspired me to joing WW to fight off these pesky 15 pounds. THANK YOU! Bit late to the party but just made this and its delish! I didn’t have any dill (or any herbs, and the shops shut early because of a memorial day here tmrw so couldn’t get any) and used feta instead of goats cheese but it was a nice change from regular omelets. Will definitely be making it more often, and will add the proper ingredients! I made this tonight without the dill with asparagus and a veggie sausage patty on the side. I’ve never had goat cheese before. Oh my goodness! It was fantastic. I’m so glad I stumbled upon your blog. I can’t wait to try more of your recipes.